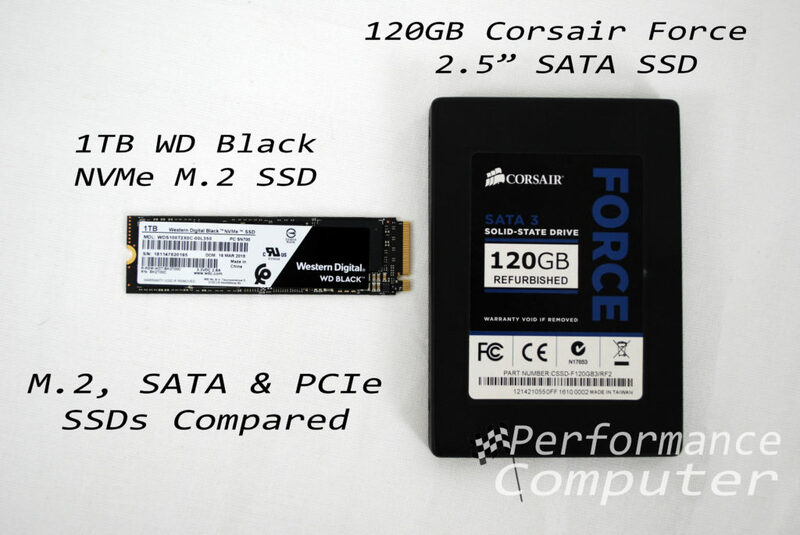 M.2 vs. SATA vs. PCIe (NVMe) SSDs: What’s the Difference? There are many types of SSDs (solid state drives) available and it can be overwhelming when deciding what to purchase for your next storage upgrade. The good news is, SSDs are more affordable than ever and in this article, we’ll break down the major differences between M.2, SATA and PCI-express based SSDs. M.2 is what’s known as a form factor. The M.2 connector has access to the PCI-express 3.0, SATA 3.0 or USB 3.0 bus, depending on what type of M.2 device is connected. This form factor is easily our favorite because of its versatility and the size of M.2 devices. 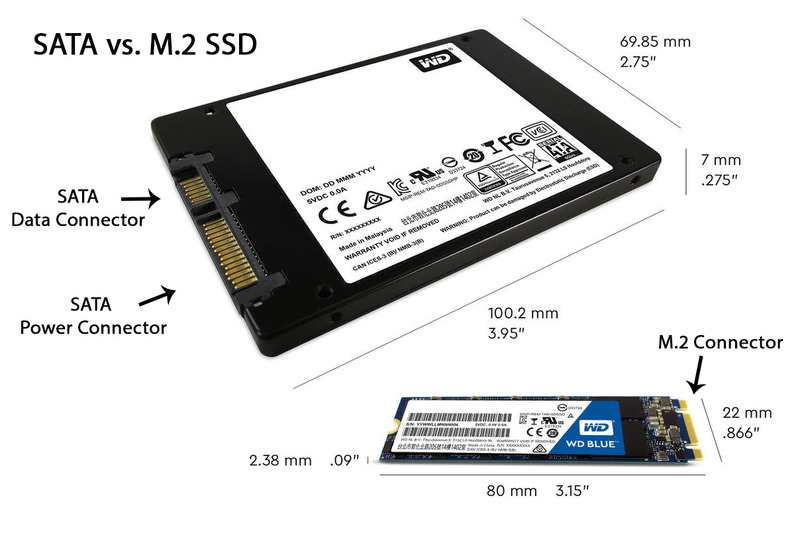 M.2 SSD drives are very small; their diminutive size is often compared to a stick of gum. 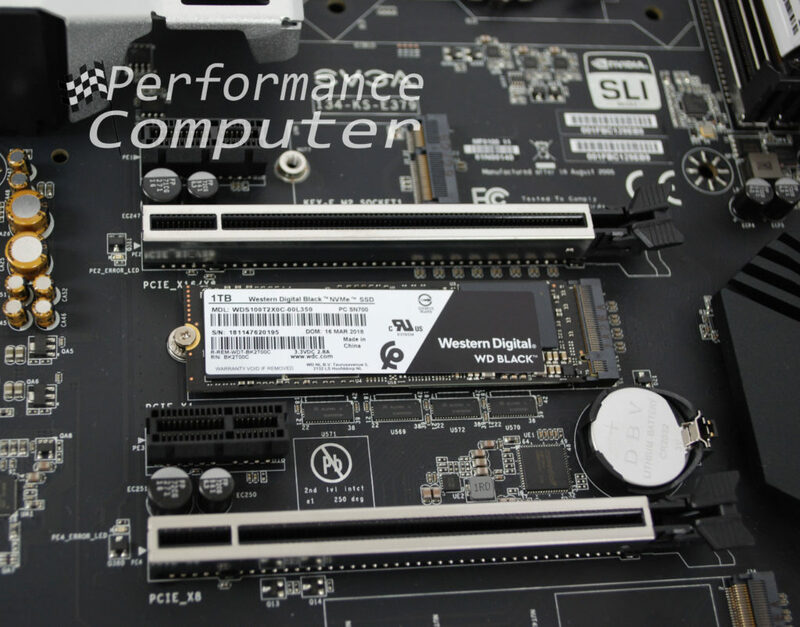 M.2 SSDs are connected directly to the motherboard in an M.2 socket as opposed to traditional SATA based drives that rely on using cables to connect to the motherboard and power the drive. This is a huge benefit, especially in systems that utilize more than one storage drive. For example, the Western Digital Blue is a popular SSD among system builders. Western Digital makes both a 2.5” version and an M.2 version. The M.2 WD Blue SSD offers the same performance as the 2.5” version without the need for SATA power and data cables. Even better is the fact that there’s no price premium for the M.2 version. 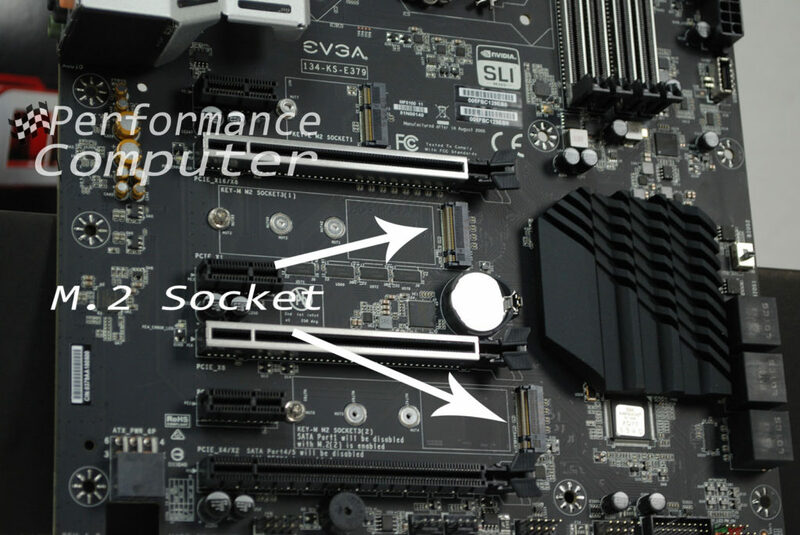 All that’s necessary is a compatible M.2 slot on your motherboard. Perhaps the most exciting feature of M.2 based SSDs are the NVMe (non-volatile memory express) based models. SSDs are essentially high-speed memory similar to RAM but because SATA 3.0 was only capable of 6 GB/s, SSD speeds eventually plateaued. NVMe technology allows SSDs to unleash their true potential: blistering fast speeds. NVMe SSDs yield a 4x or more increase in speed compared to SATA SSDs! Just as upgrading from a hard drive to an SSD makes a monumental difference in everything from boot speeds to file load speeds, upgrading to an NVMe SSD will yield gains in a variety of computing tasks. A great example of an NVMe drive is the 1TB WD Black NVMe M.2 SSD, at $330 it offers unmatched performance and will likely be the most meaningful upgrade you can make to your current desktop or laptop. To access these speeds, you also need to make sure your operating system is installed on the drive. Often used programs, games and commonly accessed data will benefit the most from an NVMe drive. As you can imagine, SATA (Serial ATA) is an older storage technology. It dates to 2000 and replaced PATA (Parallel ATA) as the storage standard in desktop and laptop PCs. SATA brought faster speeds and a universal connector. 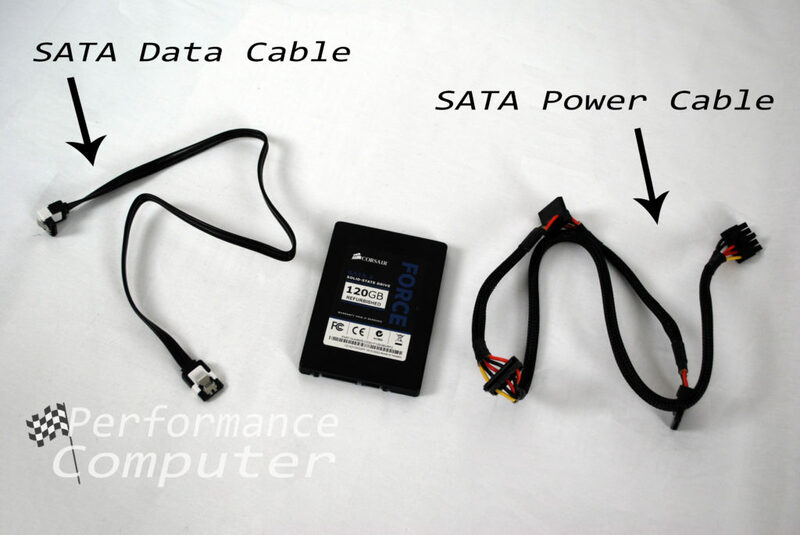 SATA drives require a SATA power cable as well as a separate SATA data cable. SATA is used in hard drives, SSDs and optical drives. When SSDs were first brought to market, the technology was new and high capacity drives were expensive. Furthermore, the first drives were “slow” by comparison to modern SATA based drives, meaning that at the time, SATA would be sufficient. SSDs brought with them great potential and manufacturers knew a new standard would eventually need to be created to take advantage of memory-based storage’s full potential, hence the creation of M.2. Storage has changed quite a bit over the past few years. Before SSDs, hard drives were the only type of storage that we knew, and boy were they slow! We didn’t realize how slow at the time but when SSDs arrived, they were truly life changing. Few PC upgrades can truly claim that distinction! As SSDs have evolved into M.2 based NVMe drives, again we benefit immensely from increased speeds and a much more convenient form factor. 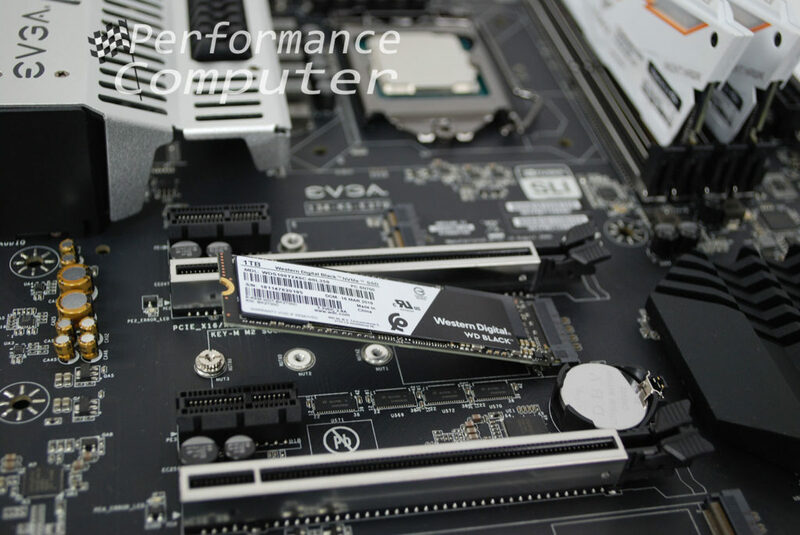 While not as life changing as upgrading a hard drive to an SSD, upgrading to an NVMe SSD is still noticeable and is likely an upgrade you won’t regret.